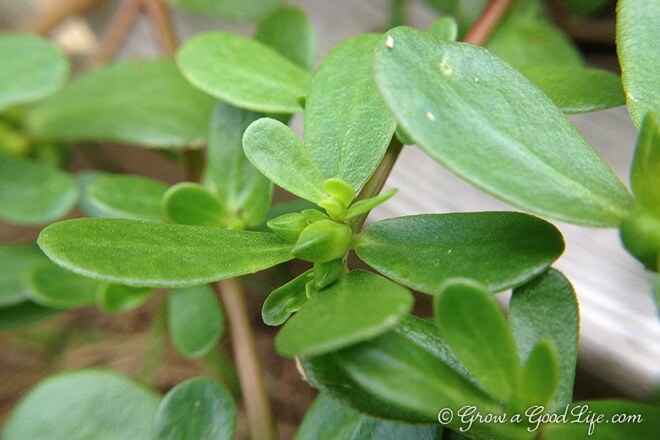 Have you found purslane in your garden and are you wondering if you should weed it or eat it? Common Purslane (Portulaca Oleracea), also known as pigweed, little hogweed, or Ma Chi Xian, is a low growing succulent member of the Portulacaceae family. It is considered an annual herb that grows in almost all corners of the world in various soil conditions. To most, it is a pesky weed that sprouts up between cracks in the sidewalks, in garden beds, open areas in paths. I have received some comments on the Purslane that I am showing in the last few Harvest Monday posts July 6, 2014 and July 14, 2014. So I thought I would share some of the research and information I have learned about Purslane. Close-up of Purslane’s succulent leaves and seed pods. 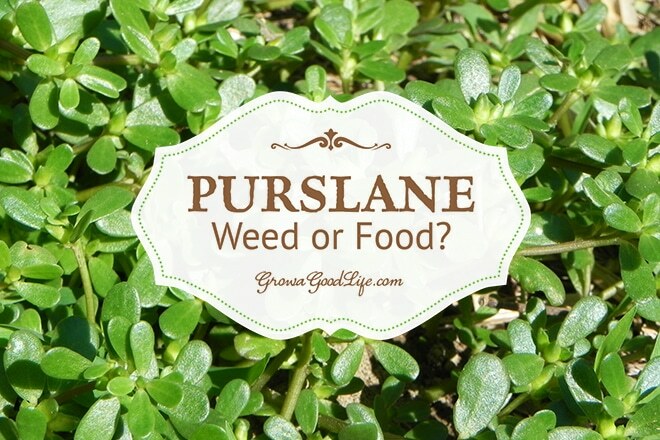 So is Purslane a weed or food? It is all a matter of perspective…A weed is considered to be any unwelcome or troublesome plant, especially one that grows abundantly where it is not wanted. 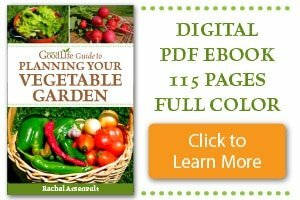 While food is any nourishing substance that is eaten, drunk, or otherwise taken into the body to sustain life, provide energy, and promote growth. Purslane is a rather abundant in my garden this year. It is growing in the newly constructed raised beds and in the paths. I’ve been weeding it in areas where it may compete for moisture and nutrients with crops, but have allowed it to grow in corners and in paths. The weeded plants are not tossed away. I have been plucking the succulent leaves and adding them to salads, stir fry, and scrambling them up with my morning eggs. Purslane growing in the paths in between garden beds. So why am I eating a weed? Purslane requires no effort to grow: Purslane grows freely and tolerates different light intensities, temperature ranges and soil types. There is no work involved in growing purslane. It is a free source of nutritious food. Purslane easily reproduces from stem pieces and seeds with no effort on our part. It’s succulent characteristic makes it very drought tolerant. Purslane tastes good: Purslane’s succulent-like leaves have a refreshingly crisp, slightly lemon flavor with a nice crunch that make a wonderful addition to any salad. The stems have a tangy and peppery kick. Personally, I find the stems to be a little tough but the leaves are tossed onto pizza, scrambled up in eggs, added as a burger topping, and snacked on while I am in the garden. 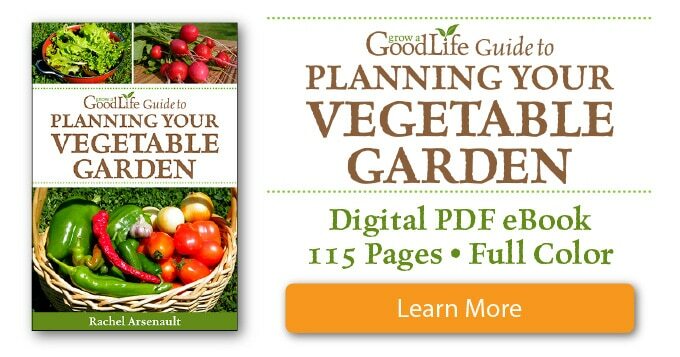 Follow Grow a Good Life’s board ~ Purslane Recipes ~ on Pinterest. Disclosure: Any medical information is for informational purposes only. Always exercise caution when using any wild plants and make sure you have positively identified the plant. Purslane is delicious! My neighbor gave me some the first time I tried it and I’ve been cooking & eating it for several years.It’s sold in a local store, usually 3 bunches for .99,it’s called veryulagas(Spanish)This is how my neighbor cooks it.She says to boil it in water until tender.Drain well.Heat oil in a skillet,saute onions, tomatoes,garlic,verdulagas until onion is tender, add cilantro,season to taste with salt & pepper. I just found this blog and wanted to share that Purslane is very popular in the Middle East. My mother is Armenian from Iran, and she always made “Dondoore” and yogurt. She would pick a bunch, wash and boil it to the desired consistency (we would cut off the tougher bottom part, boil it to soften it – like spinach, but leave a touch of crunch), drain the water and chop it into small pieces. She would then get some yogurt (again, to taste, some like lots of yogurt, others like just enough yogurt to cover the Purslane) and chop up one (or a few) cloves of garlic, mix it with the yogurt, then add the Purslane. We ate it as a snack or a side salad. It is delicious, I grew up eating it, and it tastes better the longer it sits because of the garlic. I never knew all the health benefits of the herb, but this is a very popular dish with Persians and Armenians. We do the same thing with spinach. Enjoy!! Marge, Thank you for sharing! It sounds delicious. There are many kinds of Purslane, all look somewhat the same, flowers are different in size and color, leaves differ in size and shape, taste slightly different, some are more tangy tasting, some more crunchy, some with stronger lemon flavor, etc. Some Purslane grow upward and some stay on the grown. I have known about Purslane for over 30 years and in my research to finding out more about this weed, though there are many different kinds of Purslane, the nutritional properties are the same. I love this amazing edible weed. Hildi, Thank you for your comment and insight. It is fascinating that so many varieties of purslane exist. Also astonishing that we don’t consume more of this nutritious weed. Thank you for sharing this! I get this ‘weed’ in my flower gardens, walkways, and other places. I never pick them though because I think the leaves are very pretty. I only pick ugly looking weeds. I will try eating them though this year! Thank you! I hear other gardeners saying they eat this stuff all the time but I didn’t know what it looked like. I have some in my own yard. I will definitely give it a try. Found you on Wildcrafting Wednesday and love the post. I am always looking at the weeds in my garden and wondering what healing powers they may hold (although I wish they all had some use). I will happily add purslane the list of “useful” weeds. Annie, Thanks for stopping by and leaving a comment. I wish all garden weeds were as healthy as purslane. Kathi, I bet the purslane will grow from now on in your rock garden. They tend to self seed easily and can even grow from a part of the plant. I grow purslane in a pot for the flowers, but on looking it up, featured it in a blog post as an edible. I found it quite delicious and put some bits in a salad, though I don’t have quantities enough to serve it as a side. Bev, it is a pretty plant. 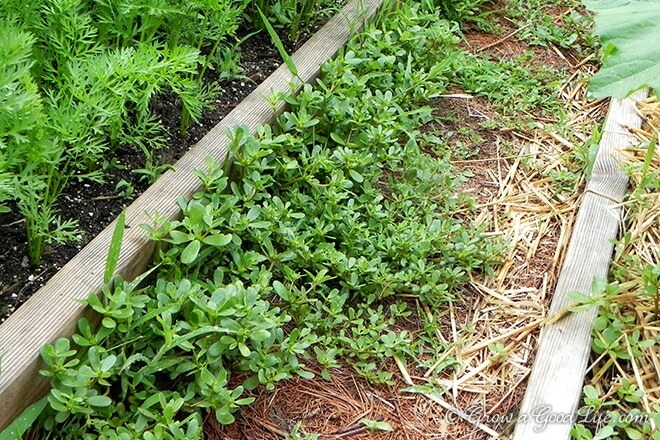 Also in my reading, I discovered that purslane helps other plants by drawing up moisture from deeper in the ground and sharing it (Source: http://herbalacademyofne.com/2012/07/purslane/). When we broke ground for the first Impact Community Garden, purslane started sprouting up everywhere between rows and plants. I showed everyone it was edible, and folks had a great time eating it. I gave away seeds last year for the green and golden varieties. It’s such a nutritious ‘weed’! Dave, I love seeing the reactions on people’s faces when I pluck and eat what they think of as a weed. It’s a great way to educate. Amber, Thanks for sharing! I have added this information under Further Reading. Thanks for the write up and the photo of purslane, I read or heard about Ma Chi Xian (馬齒莧) in Chinese periodicals or discussion forums often, but they never show a picture of it, I see Asian markets sell purslane, but they don’t label it or the label is in Vietnamese or other language which I couldn’t read. Just for fun, guess what purslane means in Chinese? Mac, Thanks for the translation. I hope you will give it a try. Interesting and timely, since purslane seems to be one of the most prominent weeds in the garden this year, along with yellow wood sorrel. I may have to try it, if only because of its omega-3 content. The first time I had this was when I was living in Turkey. I came to really love it. I chop it up, a lot of it. My kids love it. After chopping I add it to yogurt, and garlic.